18 Hands Gallery is Houston’s premier fine craft gallery with an emphasis on clay. They featured my work this year at the NCECA conference in Providence, RI. Art and Invention is the absolutely coolest fine craft gallery in Nashville, TN! In August they stage a massive Tomato Art Show and Festival that has inspired me to make some way-cool tomato pots. Artcraft is located in the historic Savage Mill section of Savage, MD and features the work of over 500 artists and craftspeople. We just sent them an excellent selection of over seventy pieces. Arts A Poppin in Indianapolis, IN has a goofy name but their buyers have a great eye for fine craft. Look for a bunch of my latest Christmas ornaments to arrive on their shelves next week. C2C Gallery in Grand Haven, MI is the creation of potter, Cyndi Casemier. Her staff is so good at keeping me updated on sales and I’m a perfectionist at keeping their shelves stocked with my work. 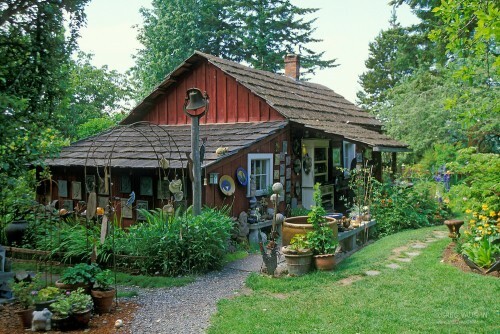 Crow Valley Pottery (pictured above) is a magical place on idyllic Orcas Island, WA. They do an amazing job of displaying art throughout the grounds of their studio/gallery. My wife and I were lucky enough to visit them this summer and it was such a treat to finally see this place that has been exhibiting my line for almost a decade. Deblois Gallery in Middletown, RI is a brand new account that will be featuring my work in its annual holiday show that runs from November 7th to December 24th. Eureka Crafts in Syracuse, NY will be getting a big supply of Wallyware the week before Thanksgiving so give them a visit later this month. The Evergreen Gallery in Evergreen, CO is just ten miles from my house and I’ve been doing business with them since we moved here 23 years ago. They carry an impressive display of my work and it’s a fantastic place to go gift shopping after a walk around Evergreen Lake. The Keith Fleming Gallery rocks Port Clinton, OH with crazy crafts and stylish furnishings. Over the years, we’ve done some great custom designs with giant walleyes devouring tourists near the local nuclear power plant by the lake. Margo’s Pottery and Fine Crafts in Buffalo, WY is a clay-oriented shop that features some name ceramics. Owner Margo Brown has a great eye for clay because she’s a potter herself. Monkitree in Gardiner, ME is great at posting stuff on Facebook and some day I want to go visit this quirky place. They place a lot of orders throughout the year, so if you live in that neck of the woods, check ’em out! Mud and Metal in Baltimore, MD has been carrying my work since practically forever and they are quite the stylish gallery. Right now they are having a show called, “Tarot and Tattoo”. How cool! 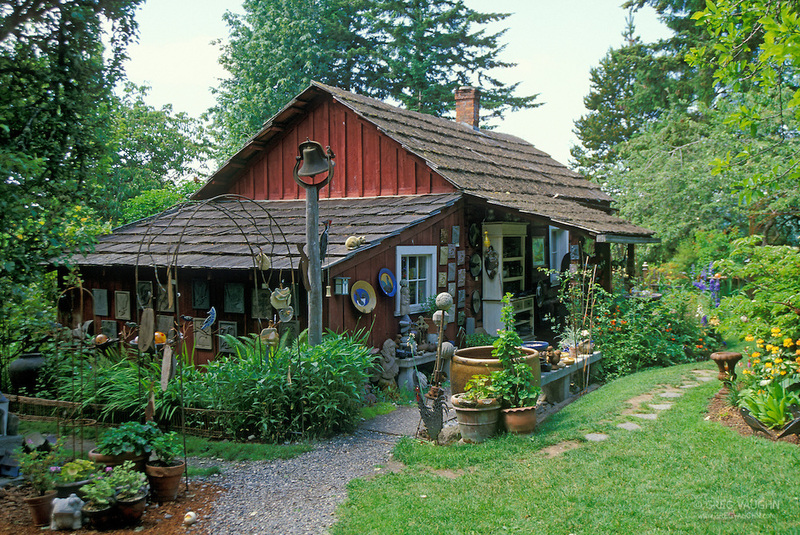 New Morning Gallery in Asheville, NC is one of the finest fine craft galleries in the country. I’ve had friends visit this place and come home raving about amazing their collection of clay is. This is another “must see gallery” for people who love fine craft. Phoenix Gallery has two locations: one in Lawrence, KS and the other in Kansas City, MO. I just started doing business with them this summer and they are quickly turning into one of my favorite accounts. They are selling my work quite well and they are super-organized with their inventory system. Viva The Midwest! Poppy in Columbia, MO has a lot of stylish stuff AND they carry my work, too! They have been carrying my pots since 2011. Random Acts of Art in Naples, FL carries art that captures the fun and breezy feel of Florida. We’ll be shipping them a very large order later this month, so drop by if you are in the neighborhood. Show of Hands in Cherry Creek, CO carries my standard line of pots plus a lot of the art mugs that you’ve seen in posts on this site. Shopping there is a great experience and they feature some of Colorado’s best fine crafts and art. SOTA Gallery in Philadelphia, PA is one of the the best fine craft galleries in Philly. They will be getting a nice selection of my work later this month. Timothy’s Gallery in Naples, FL has some great whimsical crafts. A quick perusal of their website as I was writing this article made my jaw drop. Nice stuff!!! Wild Side Gallery in Key West, FL has the biggest and best selection of my work on the entire planet! Once a year they drive out to Colorado and we give them a huge selection of pots. They are consistently one of my top selling accounts and do a wonderful job representing my artwork. This entry was posted in Gallery Shout-outs, Gift Suggestions and tagged Tom Edwards mugs, Tom Edwards pottery, wally pots, Wallyware, wallyware pottery. Bookmark the permalink.